Amar'e Stoudemire closes a deal to play with the Israeli basketball team Hapoel Jerusalem, which he co-owns. Amar'e Stoudemire, who retired from the NBA last week, reportedly has closed a deal to play with the Israeli basketball team Hapoel Jerusalem, which he co-owns. International sports journalist David Pick tweeted the news on Sunday evening. Stoudemire has called a news conference for Monday, where he is expected to make the announcement that he will play the 2016-17 season with Hapoel Jerusalem, according to ESPN. The sports network, in corroborating the report by Pick, cited unnamed sources that "Stoudemire's move to join Hapoel Jerusalem as an active player is now a mere formality." 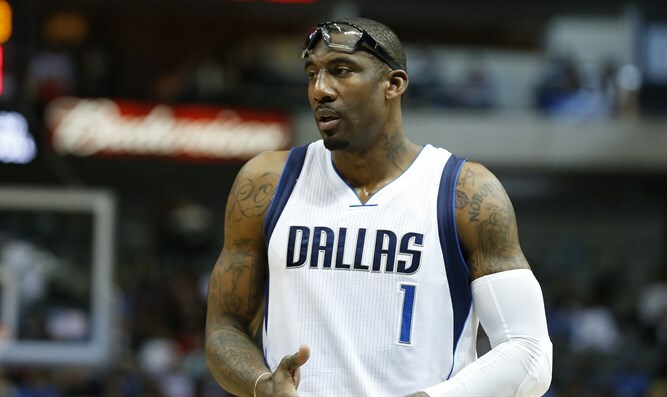 According to reports, Stoudemire's signing is expected to be made official during the visit. Stoudemire has been a minority owner of Hapoel Jerusalem since 2013. In 2010, after joining the New York Knicks, Stoudemire told the New York Post that he had become “spiritually and culturally Jewish.” The All-Star said he was keeping kosher and would celebrate the High Holidays. He traveled to Israel that year after discovering that his mother was ancestrally Jewish.